Every month, we share easy tasks you can do to keep you home in tip-top shape all year long. So as we wind down 2014, here are a few simple tasks you can take on in December! • Replace all of your home’s air filters to keep them working efficiently. • Check all faucets and pipes for leaks. • Remove drain covers and clear the drain of any gunk. Consider running baking soda and vinegar down the drain to clean it too. This small task could prevent a slow backed up drain later. • Replace water filters in your refrigerator or faucet to keep water tasting fresh. • Check drainage around the house and gutters, especially during winter weather. • Check car tires for tread wear and have tires rotated. Are your tires ready for ice or snow? • Save on Home Insurance - Homeowners Insurance is an important part of protecting your home and belongings. To make sure you have the very best coverage (and the most affordable rate), call us today for a free, no obligation quote. 888-565-2212 or visit us online at http://www.bryanagency.com/contact The Bryan Agency is your leading insurance agent for auto insurance, home insurance, and commercial insurance in New Windsor, Long Island, and the surrounding New York areas. 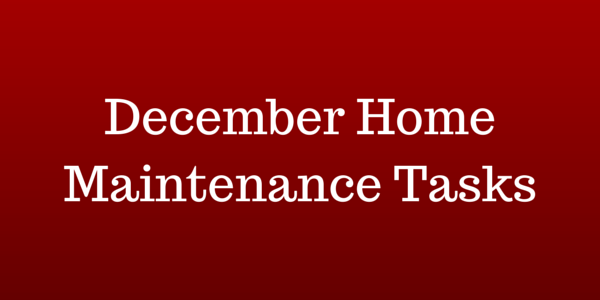 Click to get more home maintenance tasks and tips in our monthly blog series!